Like spindle cell lipomas, the most common location is subcutaneous tissues in shoulder and posterior neck of adults with a predilection for men. They are solitary, circumscribed, slow-growing, painless lesions. Microscopically, they show admixture of mature adipose tissue and pleomorphic multinucleated cells. 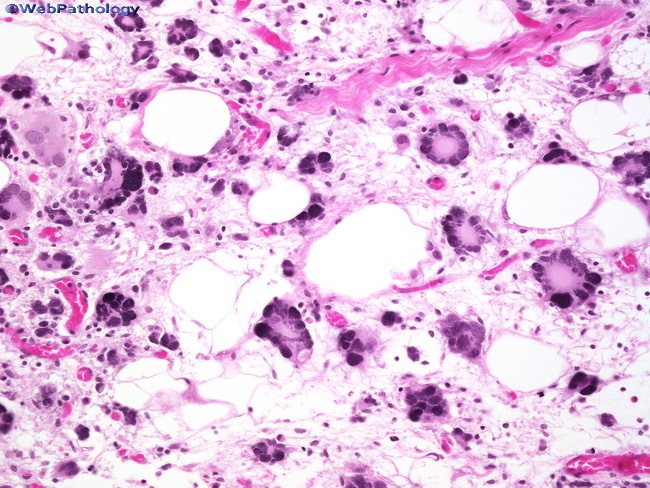 This image shows scattered multinucleated cells and occasional collagen bundles.